The Upper Arlington Board of Education has selected Stacey Royer as president and Nancy Drees as vice president for 2019. Royer, who served as vice president for 2018, succeeds Carol Mohr as president. 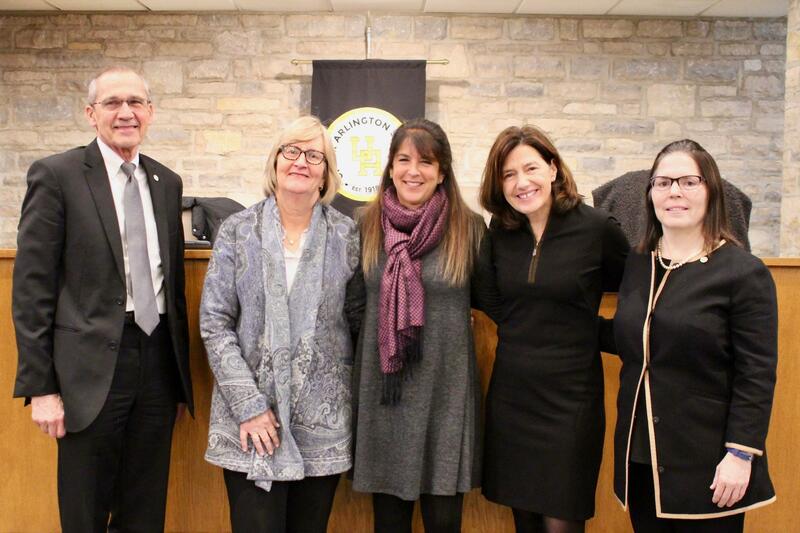 Mohr was honored at the Board of Education’s organizational meeting on January 15, 2019 with a plaque for her service as president of the Upper Arlington Board of Education. Royer praised Mohr for her leadership and dedication to the students of Upper Arlington Schools during a year that saw significant progress on the five goals in the district’s strategic plan, including the community-driven design phase for a new high school and five new or renovated elementary schools. Also at the organizational meeting, the Board of Education approved a schedule of meetings for the 2019 calendar year. For the meeting dates and more information about the Board of Education, please visit www.uaschools.org/board.